Do you want a new PE activity or extracurricular activity? Do your children want to participate in Scoot Fit every day to improve fitness and active travel skills? Do you want a new school activity that is untraditional and popular with children and staff? Do you want children to achieve their recommended physical daily allowance in 20-40mins and everything else after that is a bonus? Do you want children to participate in active travel daily? Our Scoot Fit school exercise and active travel programme is sustainable and will keep your children active and healthy. We educate and train your staff and children in our Scoot Fit programme giving them the specialist skills and knowledge to deliver high quality sessions along with the sale of scooters and associated equipment. Along with the training we provide you with all the equipment necessary to deliver the sessions to any number of children. 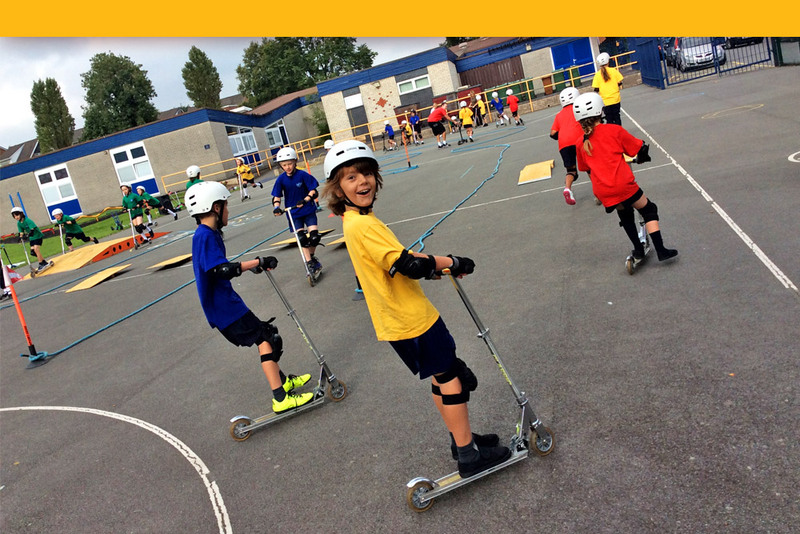 After the training your school will be ready to launch Scoot Fit as part of your PE lessons, extra-curricular activities, lunch time, after school clubs, sports days, golden hour’s and PTA events. By becoming a Scoot Fit school, children will develop strong characteristic traits like confidence, self-esteem, bravery, resilience, courage, pride, independent thinking along with a small element of risk taking. Scoot Fit children are highly distinguishable from other children who ride scooters. Most notably Scoot Fit children ride with passion, determination and purpose. Contact us today to discuss how we can work together! 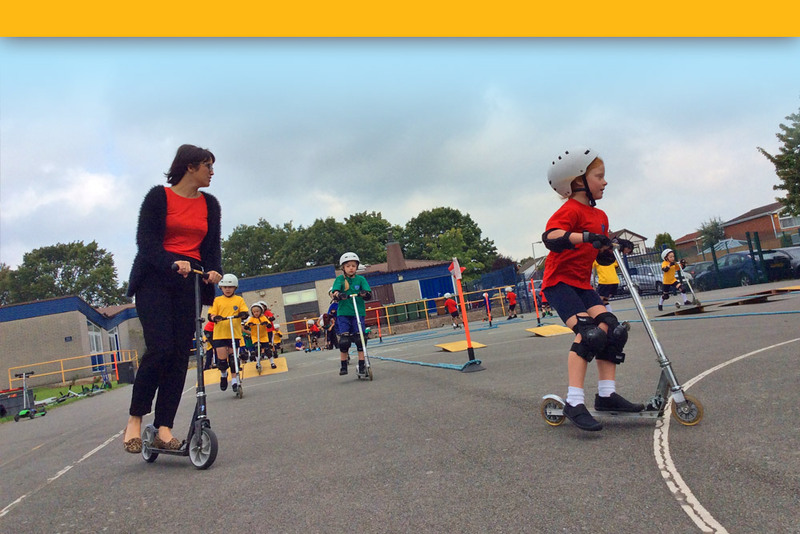 Book a Scoot Fit experience day to see if it would benefit your school. You can use your School Sports Premium to fund any Scoot Fit service. A day for the whole school with seven 40minutes sessions covering Reception to Year 6 in a day. We come to your school, bring all the equipment required, lay out a track with low level ramps which the children scoot around whilst listening to music, it’s like a disco on 2 wheels. The whole school is bouncing. These morning or afternoon sessions are aimed at improving a child’s overall control of the scooter and improving their performance whilst scooting. Children are taught in more detail about Scoot Fit techniques and how this will improve their scooting outside of school. 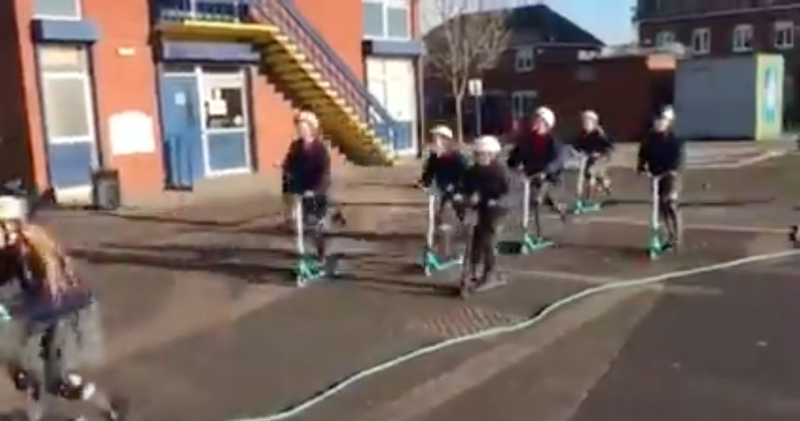 Would you like more children and parents scooting to school? We can work with you to get more children and parents w scooting to school by taking them on personalised journeys from their house to school and back again. This will give children more confidence and be more aware of hazards on their journey. 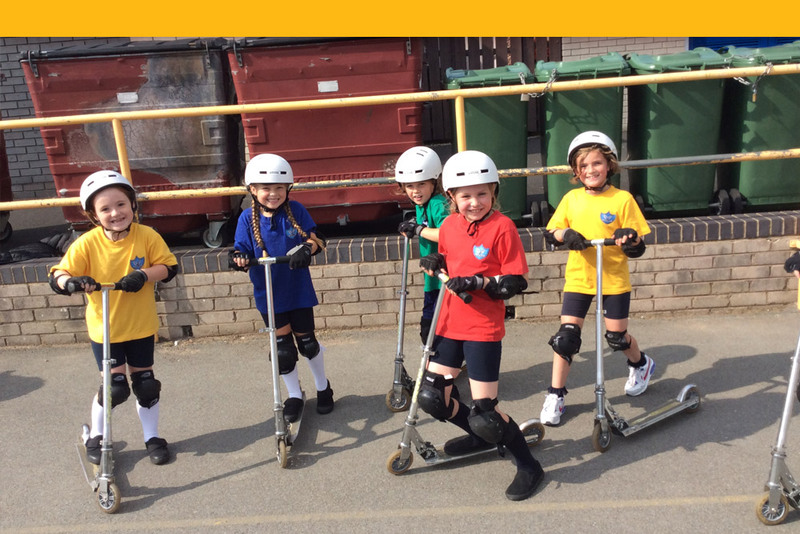 If you want to start a scooting club in your school it’s important children and teachers understand how to scoot safely whilst having fun. 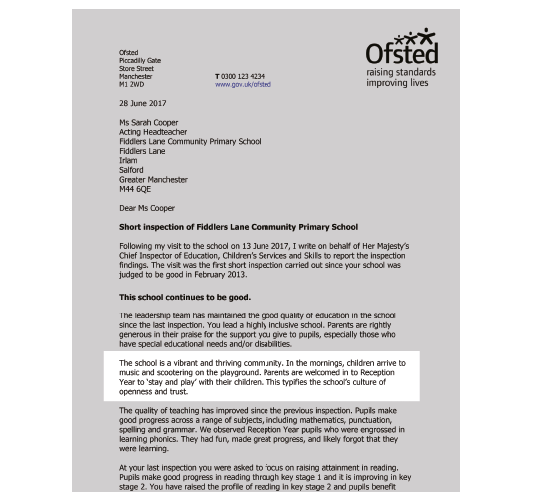 These sessions are tailored to your school’s playground because no playgrounds are the same. We practice a variety of things including speed management, scooter control and how to be safe. Do you want to increase your engagement with parents and motivate them to scoot to school with their children? We’ve found that 6 out 10 adults who try scooting really enjoy it and would consider taking it up as an activity. Adults generally scoot for 3 reasons, save time, get fit or spend time with their children in a new leisure activity. This is a really fun day for everyone. 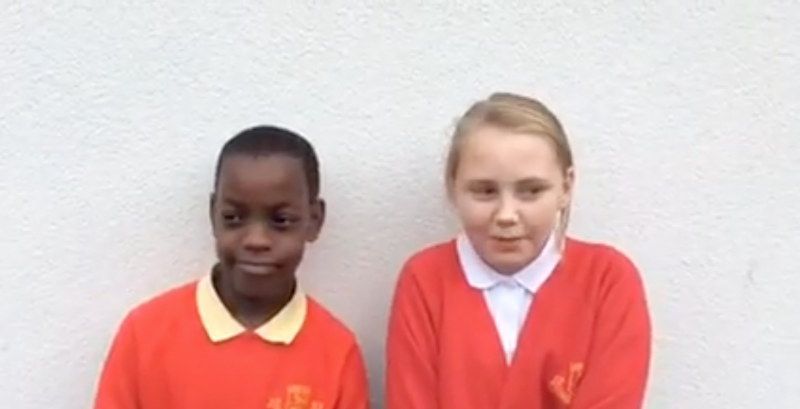 Check out what these children like about Scoot Fit! See what Scoot Fit can bring to your school today.